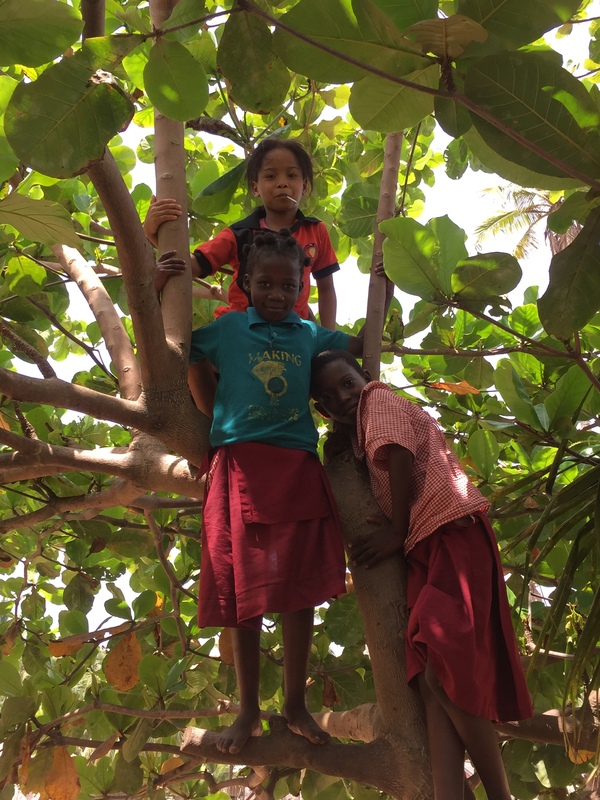 Our last trip to The Beach School proved to be a successful one in many ways! 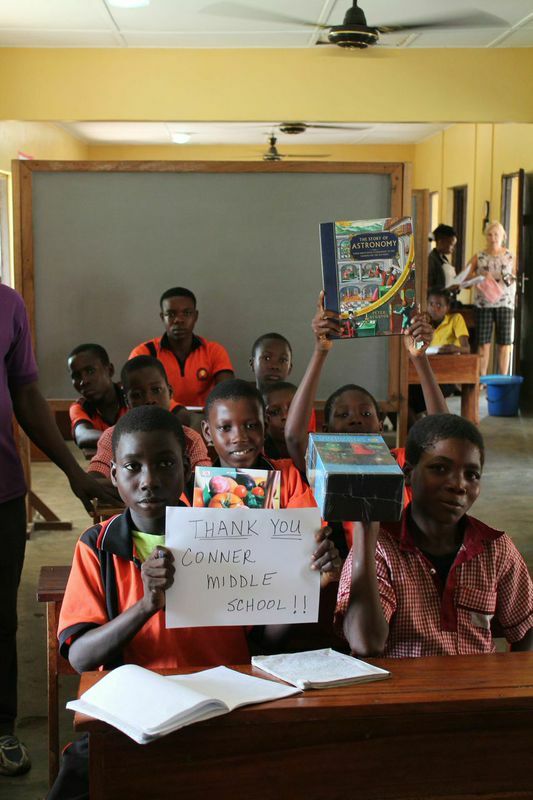 It was all smiles as new toys were given to the younger students, and with much thanks to Lindsy Barrix and her inspirational class at Conner Middle School in Kentucky, USA, reference books were given to the older students. What an amazing sight it was to see how kids on opposite sides of the world were united by means of reading and learning! We cannot thank you enough, Lindsy Barrix, along with your compassionate class for your support! The students were overwhelmed with joy. 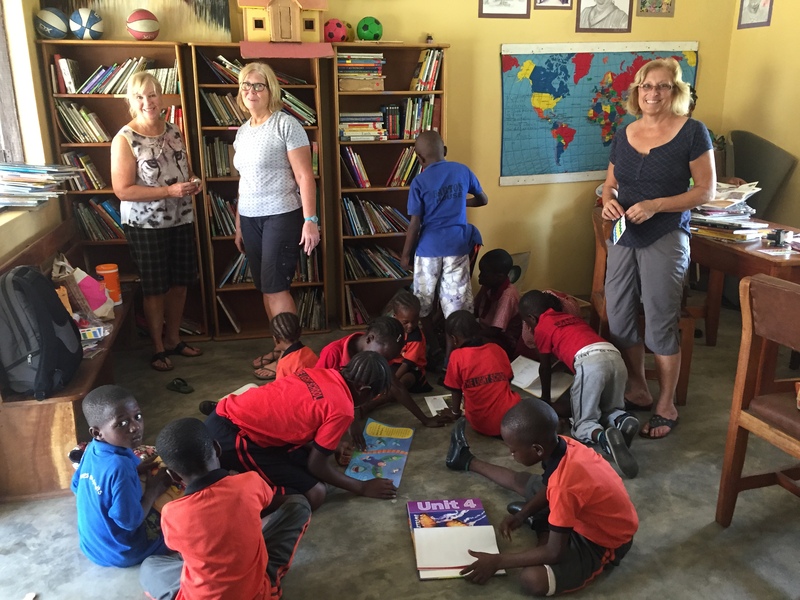 While the kids took to reading their new books and playing with their new toys, our volunteers went to the library in order to jump-start a new program! A variety of different colored stickers were placed on the library books in order to help the students differentiate between the different levels of reading. 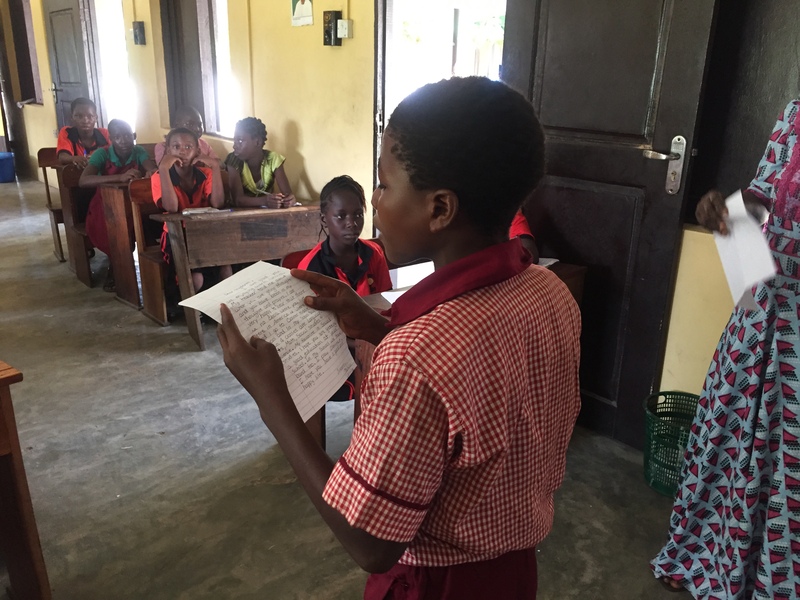 We are so excited to see how this program aids and inspires the students to read more and reach higher levels of reading! These young minds are constantly reaching for the stars and we are so excited to watch them climb higher and higher! Our “Hot Food Program” is still helping to keep our students reach their goals! With better nourishment and full tummies, these students are focused and happy! We continue to bring food each month in order to maintain the program, but are also happy to hear that self-sufficiency via a garden and chicken coop is a major long-term goal for Lady Salami! Thank you for your continued support, and a big thank you to our new friends at Conner Middle School! Dreams are flourishing for these students because of your efforts. 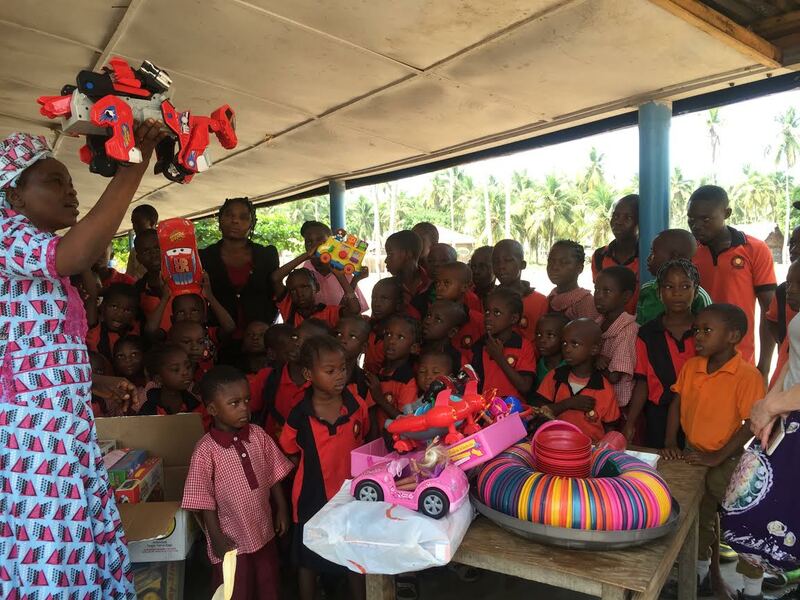 Lady Salami showing the younger kids some of the donated toys! Reading a letter from Lindsy Barrix’s class at Conner Middle School! The library project in the works! Empty bowls and full tummies! They are climbing higher, literally!